One helpful resource for planning our round-the-world trip has been other travel blogs. In most of our posts we describe our experiences as we traverse a country, but I’ve always intended to write summaries with final recommendations and costs. I’m hoping these posts will be helpful for our legions of readers who are also planning to quit their jobs, sell their cars, shoehorn their remaining possessions into a 10’ x 15’ storage space, and drop off the map for a year. Determining an itinerary for New Zealand was relatively easy. The South Island is generally considered to be more beautiful and some travelers may chose to skip the North Island entirely. However, Allison had previously visited the South and definitely wanted to see the North during this trip. We felt that we divided our time appropriately between the two islands, with about one week above and two below. Most budget travelers rent a vehicle to see New Zealand, and choosing between a campervan or car presented our only really difficult planning decision. Higher rental and fuel costs for campervans may be offset by the lower costs of campgrounds compared to hostels. Campervans allow easy overnight access to some of New Zealand’s picturesque national parks. We ultimately chose to rent a car, thinking we might save some money and also that our nightly accommodation would be more comfortable than if we were living out of a campervan. 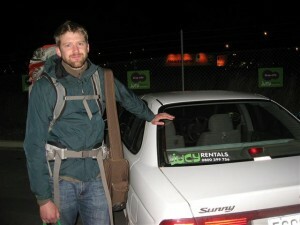 We rented from JUCY Rentals which very clearly markets to the young, budget-oriented crowd. The car was over ten years old and had higher mileage but was problem-free. The Doubtful Sound cruise was a much appreciated, albeit expensive, break from our impoverished backpacker lifestyle. It rained for the entire duration of our cruise, but the scenery was still impressive. Wanaka was a pleasant, relaxing city with some great hiking options. Our accommodation at Wanaka Bakpaka was some of the best in New Zealand. 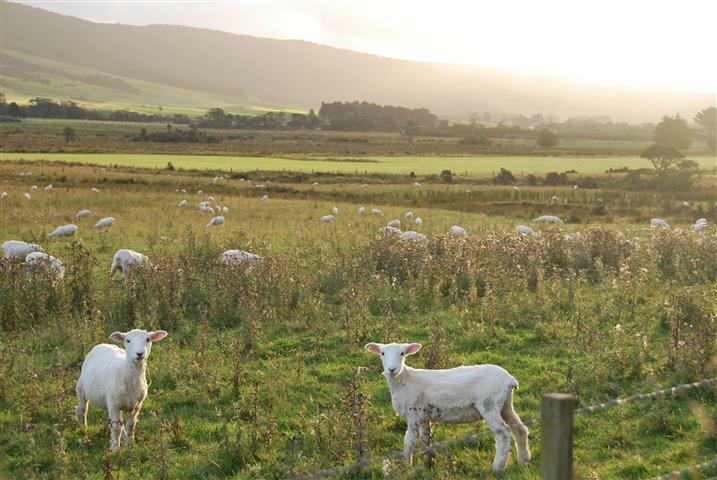 Accommodation in general was great in New Zealand. Hostels were consistently clean and many were somehow quirky or unique. Our favorites were Paekakariki Backpackers, Old Slaughterhouse, Te Nikau, Hogwartz, Fernlea Backpackers, and the aforementioned Wanaka Bakpaka. Check out photos of each of these places in the Gallery. 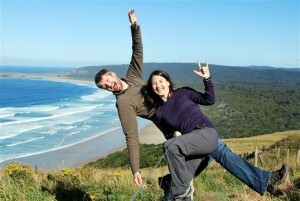 The Catlins, with fewer tourists, beautiful coastline, and great weather, was a definite highlight. 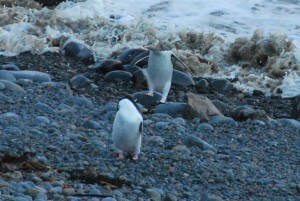 I really enjoyed seeing the penguins at Roaring Bay. We grew a little tired of the rain on the West Coast, although with our raingear and occasional breaks in the clouds we were still able to enjoy our time there. 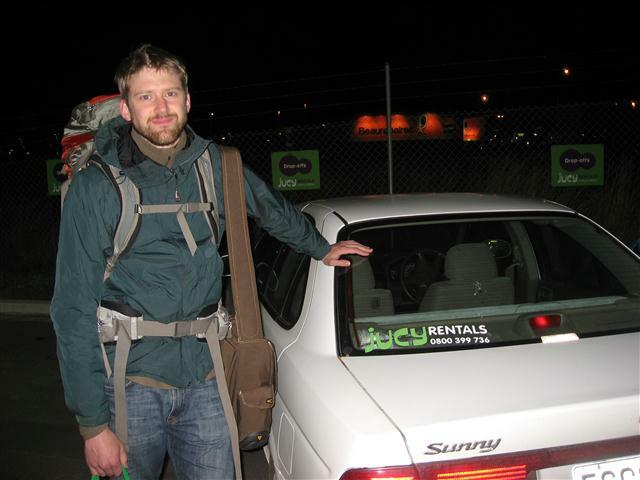 Transportation $47.50 Rental car, gas, and ferry transport between North Island and South Island. Airfare to and from New Zealand is not included. Accommodation $34.88 Almost exclusively private rooms in hostels, split about even between shared and private bathroom. Food $23.79 We bought groceries and cooked most meals at our hostel. Entertainment $36.77 Museums and tours; the Doubtful Sound cruise and Waitomo abseiling trip constitute 85% of the total. Communications $1.70 Internet and mobile phone (local SIM card and minutes). Essentials $1.42 Laundry, toothpaste, etc. We’d incur many of these same expenses at home. All $146.05 Daily average for all expenses in New Zealand. Conversion to USD based on 1 NZD = 0.72 USD. 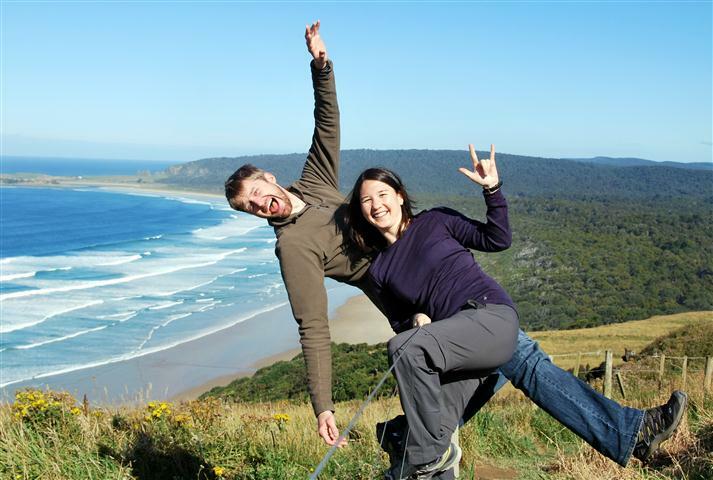 Although we typically prefer to visit rural areas rather than cities, Jason and I were both pleasantly surprised by how much we thoroughly enjoyed our short time in Dunedin. 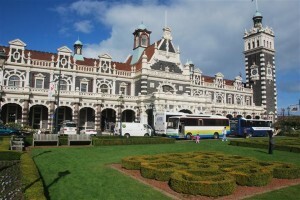 Like many university towns, Dunedin is filled with things to do, including plenty of reasonably priced restaurants. Thrilled that we could afford to eat out, we indulged in sushi and Turkish kebabs during our two day stay. To top it all off, our hostel was exceptionally nice and within walking distance of everything, including the public library where we took full advantage of the free internet; a real rarity in New Zealand. Determined to make the most of our short time in Dunedin, we basically did a whirlwind tour of some of the city’s most popular attractions. The Otago Museum and the Otago Settlers Museum were high on our list of places to visit, and we managed to squeeze in a visit to both. It was interesting to gain some historical perspective on the area and to learn more about New Zealand’s early immigrants. 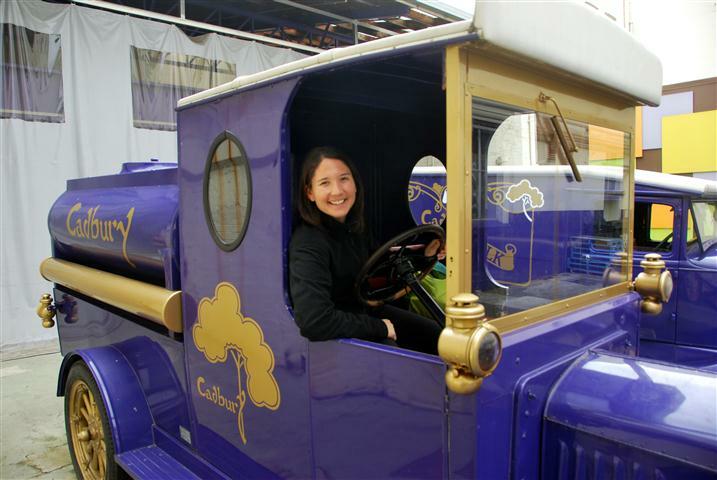 We also couldn’t resist a stop at Cadbury World, the chocolate giant’s factory, for a tour of the production area, plenty of facts about the company’s history and a bag full of samples. 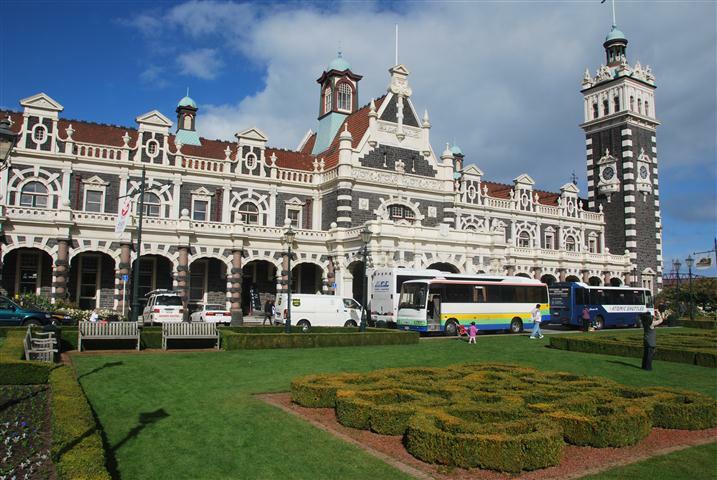 People rarely visit New Zealand to admire architecture, but we were told the city’s 100 year old rail station was worth a look so we also made a point of stopping there while wandering up and down Dunedin’s ultra steep streets. As the sun began to set, we reluctantly drove out of Dunedin for the final leg of our New Zealand road trip. We reached the outskirts of Christhchurch around midnight and promptly decided that it was pointless to find a hostel as we needed to be at the airport by 4 a.m. for our 6 a.m. departure to Manila. Not far from the airport, we parked our car along the side of a dark road, reclined the seats and closed our eyes, hoping to catch a few hours of shut eye before our early flight. As is usually the case when sleeping in a car, we didn’t have much success. Between the two of us combined, we managed to get about three hours of interrupted sleep. Finally giving up, we drove ourselves to the car rental drop-off location, emptied out the rental car and packed up our bags. Checking the odometer, we discovered that during our short stay in New Zealand, we had covered nearly 5,000 kilometers. No wonder we felt like we had been going non-stop for the past three weeks! Waving good-bye to our trusty rental car, we set off on foot for the mile long walk to the airport. Sitting in the Christchurch airport, we began to mentally prepare for the next leg of our trip. In a way, it felt like our round the world trip was just beginning. Our time in New Zealand was comfortable, safe and easy and probably not at all representative of how we will spend much of the next 11 months. We felt somewhat reluctant to leave the behind this magical country filled with amazing scenery and friendly people but took comfort knowing that warm weather and some of the world’s best scuba diving was only a plane ride away. 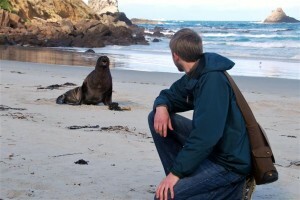 Sea Lions and Sheep and Penguins, Oh My! On Easter Sunday, we headed out of Riverton and toward the Catlins on New Zealand’s south eastern coast. Along the way, we passed through a couple of places that had a ghost town like feeling to them as nearly everything was closed for the holiday. We were undeterred by the lack of available services as our focus for the next couple of days was wildlife viewing and coastal scenery. By now everyone is probably tired of hearing about the weather but it must be said that, unlike our time on the west coast, our two day road trip through the Catlins took place under sunny blue skies! A bit off the beaten track, the Catlins are known for rolling hills, rugged coastline and an abundance of animals such as penguins, seals and sea lions. Filled with high expectations, we twisted and turned along the coastal scenic route that runs directly through the Catlins. With every bend in the road, we were bombarded with amazing views. 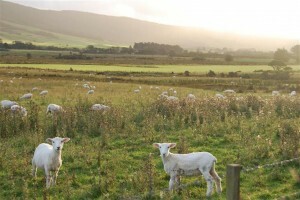 Rolling hills covered in fluffy white sheep could often be seen on one side of the road while empty beaches stretched out on the other. To top it all off, short walks leading to beautiful waterfalls and other scenic overlooks were plentiful. Despite all of the beauty and the abundant wildlife, we ran into very few people. 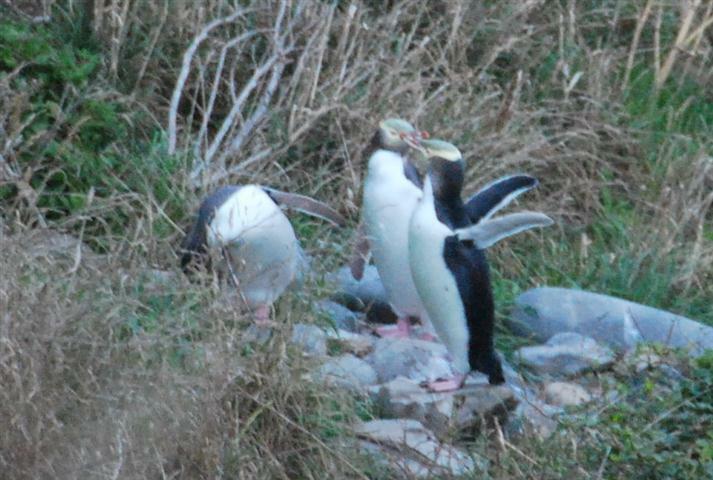 One of our primary motivations for visiting the Catlins was the expectation that we might see a Hoiho (yellow-eyed penguin). Hoiho’s are the world’s rarest penguins and can only be found in New Zealand. The best time to catch a glimpse of them is during sunset and we managed to time our arrival at the viewing hut perfectly. 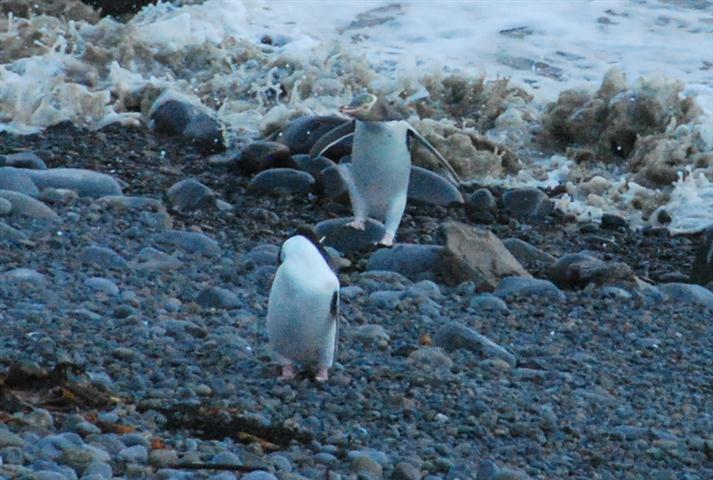 Within minutes of arriving, a penguin strolled out of the water and made its way across the sand. Over the course of the next hour, several more penguins appeared. One by one, they made their way across the sand until they were all congregating in a small circle. Despite the monotony of their actions, we couldn’t take our eyes off of them. As the sun went down, the temperature started to drop. Simultaneously, four noisy tourists showed up, ruining the tranquility of the experience. Interpreting that as our cue to move on, we reluctantly headed back to the car. Unable to fit everything into our two day road trip through the Catlins, we never made it to the beach where sea lions are often found basking in the sun. A quick search through the guidebook reveled they are often seen in the Otago Peninsula, a couple of hours north of the Catlins and essentially on the way to Dunedin where we had booked a hostel for the night. Motivated by the possibility of seeing these impressive looking creatures, we drove out of the Catlins early the next morning. Time was at a premium as we only had two full days left in the country and there were plenty of things we still wanted to do. Once we reached the Otago Peninsula, we headed straight for Sandfly Bay. Strong winds greeted us as we stepped out of the car, eyes fixated on the beach below. From our vantage point, no sea lions were visible but we decided to hike down to the beach anyway. 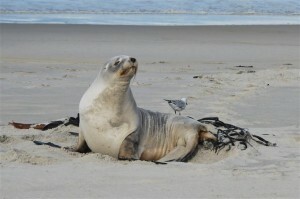 This was a good move on our part as we ended up seeing four sea lions! The first one caught me a little off guard as it looked like a giant rock from a distance but its features become more defined as we approached. Heeding the advice we had been given, we maintained a safe distance from the animals. Despite their large size and the awkwardness of their movements, they are apparently quite fast and, when provoked, have been known to chase people up the sand dunes, teeth bared and not afraid to use them. After being entertained by the sea lions for a couple of hours, we finally had our fill so we trekked back up the beach to our car. Having realized just how much the Otago Peninsula has to offer, we felt torn between our desire to spend more time exploring the area and the multitude of activities in Dunedin. It was a tough decision, but since we had spent the majority of our time in New Zealand exploring the outdoors, we chose to leave the Peninsula behind and head into the city.